The Union County Baseball Association will induct four new members into the Union County Baseball Hall of Fame at the organization’s 83rd annual Hot Stove League Dinner on Sunday, February 10, 2019 beginning at 1:00 p.m., at The Gran Centurions in Clark, New Jersey. Tom Urban of Elizabeth, a varsity infielder at Thomas Jefferson High School, baseball coach in Elizabeth and at Arthur L. Johnson High School in Clark, and director of the Union County Baseball Association Summer and Fall leagues. The special guest speaker at the annual event will be Dwight “Doc” Gooden, the former award-winning pitcher for the New York Mets and the New York Yankees. 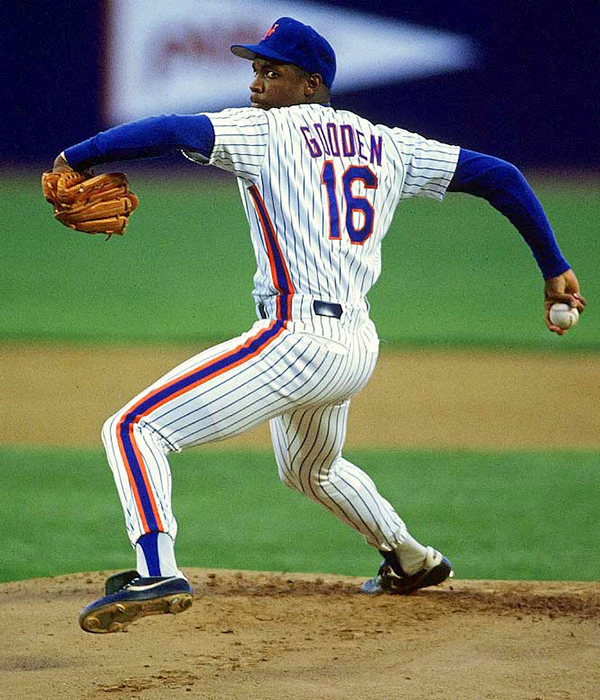 Gooden’s headline-grabbing 16-year Major League career – including Rookie of the Year and Cy Young awards with the Mets and his no-hitter while pitching for the Yankees – remains a hot topic of discussion nearly two decades after he threw his final pitch. Tickets for the 83rd annual Hot Stove League awards dinner may be purchased online at UCBA-NJ.org or by writing to the Union County Baseball Association, PO Box 176, Fanwood, New Jersey 07023. Sponsored by the Union County Baseball Association, in cooperation with the Union County Board of Chosen Freeholders and the Department of Parks and Recreation, the Hot Stove League awards dinner is the primary annual fund-raising effort for the Union County Youth Baseball Leagues. The summer and fall leagues have given more than 40,000 boys and girls an opportunity to participate in an organized baseball program for the past 70 years. (above) Dwight “Doc” Gooden will be the guest speaker at the 83rd annual Hot Stove League Dinner on Sunday, February 10, 2019.